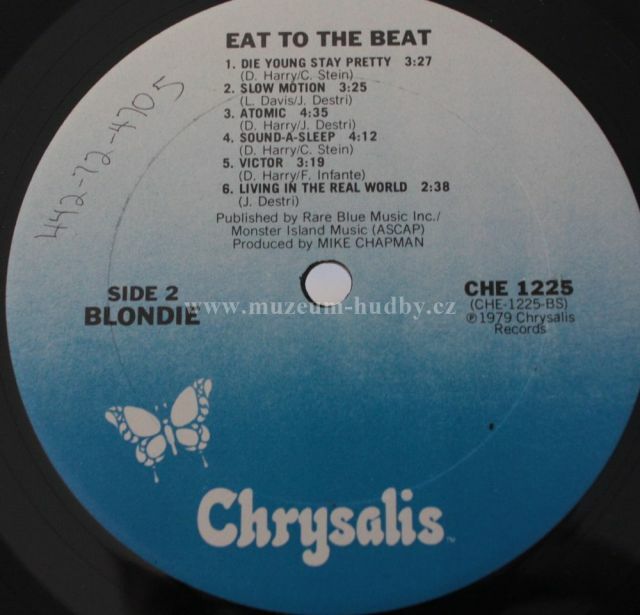 Eat to the Beat is the fourth studio album by the American rock band Blondie. It was certified Platinum in the United States where it spent a year on the Billboard album chart. 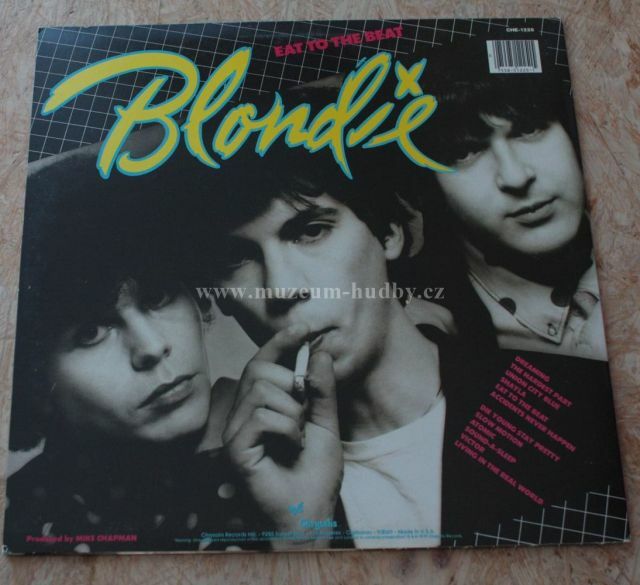 It also reached number one on the United Kingdom album chart in October 1979. 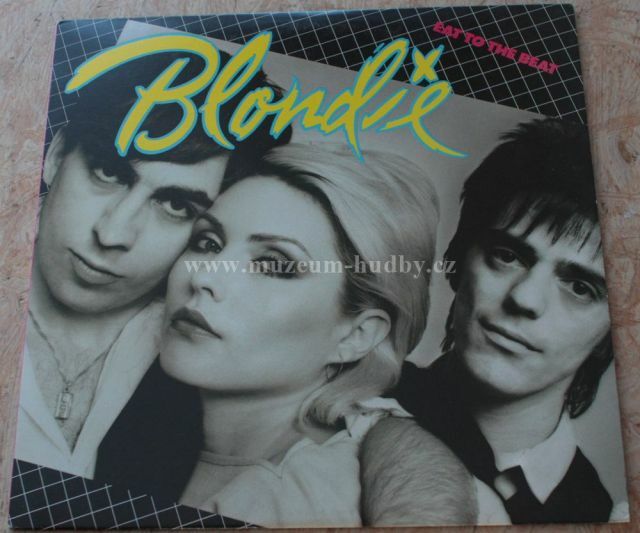 HistoryBlondie released three singles in the UK from this album ("Dreaming", "Union City Blue" and "Atomic"). "The Hardest Part" was released as the second single from the album in the US instead of "Union City Blue". The album includes a diverse range of styles as pop, punk, reggae, and funk as well as a lullaby. The first video album was produced in conjunction with this record, featuring a promotional video for each of the album's 12 songs, most of which were filmed in and around New York. The exception was the "Union City Blue" music video, which was filmed at Union Dry Dock, Hoboken, New Jersey. Each video was directed by David Mallet and produced by Paul Flattery. The video was initially available as a promotional VHS in 1979 and subsequently released on videocassette and videodisk in October 1980. According to the liner notes of 1994 compilation The Platinum Collection the song "Slow Motion" was originally planned to be the fourth single release from the album, and Mike Chapman even made a remix of the track, but following the unexpected success of "Call Me", the theme song to movie American Gigolo, these plans were shelved and the single mix of Slow Motion remains unreleased. An alternate mix of the track entitled The Stripped Down Motown Mix did however turn up on one of the many remix singles issued by Chrysalis/EMI in the mid 1990s. Eat to the Beat was digitally remastered and reissued by EMI in 1994, and EMI-Capitol in 2001, with four bonus tracks. The 2001 remaster was again reissued in 2007 (June 26 in the U.S.; July 2 in the U.K.) without the four bonus tracks. 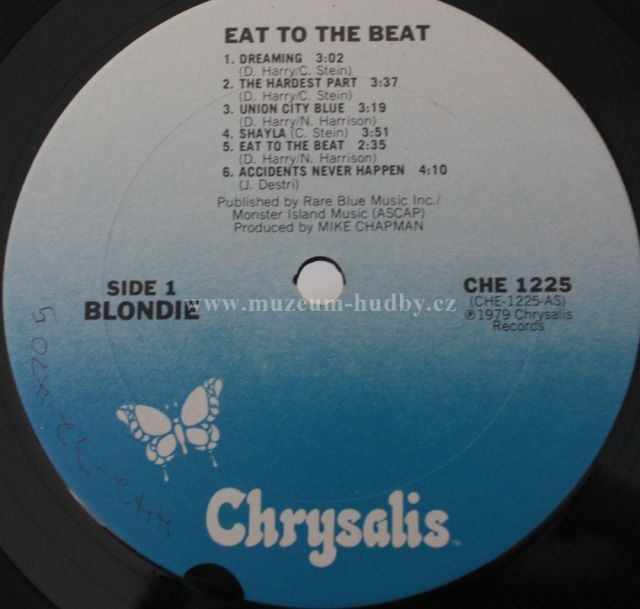 Included instead was a DVD of the long-since deleted Eat to the Beat video album, marking the first time it had been made available on the DVD format.